Does this Sweeten the Deal? Can you match the dessert to the description? India is known for its out-of-this-world culinary delights, which often incorporate a variety of exotic spices, herbs, and other distinct flavors. Along with main dishes, traditional Indian desserts provide a tantalizing experience for your taste buds, and here are 5 favorite sweet treats for you to try the next time you visit India. Could that be in January with me? If lightly-fried, sweet dough balls covered in syrup sound like your cup of tea, you will definitely want to try Gulab Jamun. Different from other sweet fried dough pastries like donuts, this dessert incorporates powdered milk into its base and is topped with a rose water flavored syrup, which gives the dish its name (“Gulab” translates to flower water). Jalebi is similar to western fair favorite funnel cakes, in that it's made by pouring a flour batter in a circular motion into boiling oil or butter. This popular street food is soaked in lime and saffron syrup after it’s fried, providing a distinctive, and delicious, crunch in the final product. 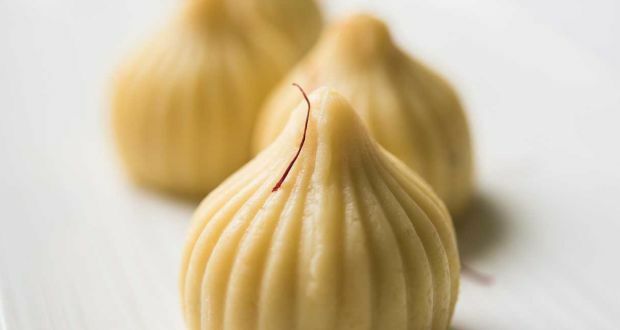 Modak is a dessert dumpling that is almost too cute to eat. Said to be a favorite delicacy of the Hindu god Ganesha, this dessert dumpling comes in both fried and steamed versions and can be filled with Jaggery and coconut shavings. Jaggery is a sweet substance and can be described as somewhere between spicy molasses and buttery caramel. We bet you can’t eat just one! If you want to feel a little less guilty over your dessert indulgence in India, try Pazham Pori, scrumptious plantain fritters that are traditionally served alongside evening tea or coffee. 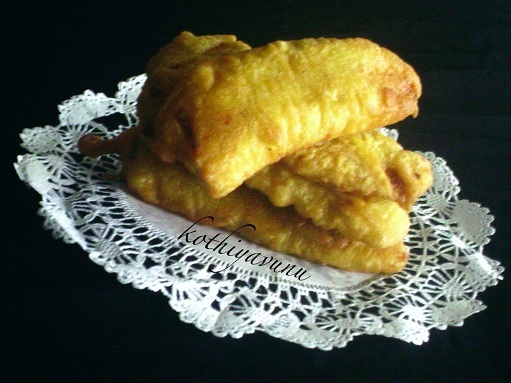 Even if this sweet treat features a batter made from flour and sugar and is deep fried to a crisp, you’ll still be getting the fresh, nutritious taste of the plantain as well. This Indian dessert is often served at the Hindu Festival of Lights, or Diwali, and derives from cashew nuts. After being ground into powder, cashews are combined with sugar and water, boiled down to a paste, and then formed into a thick nut-based dough. This dough is then rolled out and cut into diamond shapes before being dried. The finished result is similar to a cookie and often features powdered sugar on top. Whether you’re looking for something covered in chocolate, fried to a crisp, or designed for the gods, you can find it all during your travels to India. We'll be sure to try one or all of these dessert specialties when we are there. Come with us to experience all kinds of culinary delights.